You probably don’t think of healthy hair when you think of apples. 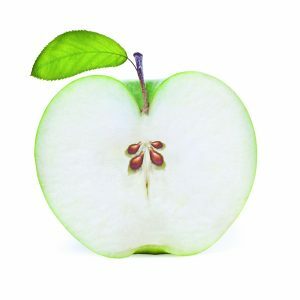 Apple Stem Cells are one of the most exciting innovations in beauty, boosting anti-aging benefits for the skin and hair. Apple stem cells stimulates new cell production in the follicles, slow down the hair’s aging process with antioxidants, and boost strength and shine with key nutrients. One of the most exciting new products utilizing apple stem cells technology is Olez INCEPTION. Olez INCEPTION is a unique, restorative hair treatment and smoothing system combined. Olez INCEPTION has become one of the most sought after products in the industry, using apple stem cells which slow down the deterioration aging process of hair follicles. The results with INCEPTION last up to 6 months The apple stem cells in INCEPTION’s proprietary formula come from a rare Swiss apple called the Uttwiler Spätlauber. Apple stem cells are rich in hydrogen, phytonutrients, antioxidants, proteins and age resistant cells. Able to thrive in the hair for 14 days after application, the cells penetrate the hair to deliver moisture deep inside the hair’s cells, adding elasticity, strength, and shine to the hair. INCEPTION seals the Apple stem cells into the hair, allowing them to repair damage from the inside of the follicle. The stem cells, and a combination of powerful nutrients reverse years of damage and leave the hair looking and feeling softer, fuller, and healthier. At America’s Beauty Show in Chicago this coming March, Olez Professional will be launching three new exciting treatments. Keeping with its mission statement of providing healthy and innovative hair care solutions, Olez Professional will be launching an oxygenation treatment, a botox-like-anti-aging treatment and a nutrient treatment.